for $335,000 with 3 bedrooms and 3 full baths. This 2,243 square foot townhouse was built in 2008 on a lot size of 0.060 Acres. WOW, WOW, WOW!!! Completely updated End unit at Bella Casa is ready for you!! Home is one of the largest floorplans at 2243sqft and has 3 bedrooms, 3 full bathrooms, a large study with French doors, and a gameroom. Home truly shows like a model, updates include extensive wood floors, recently replaced carpet, kitchen with granite countertops and stainless steel appliances, epoxy garage flooring, and recent paint. 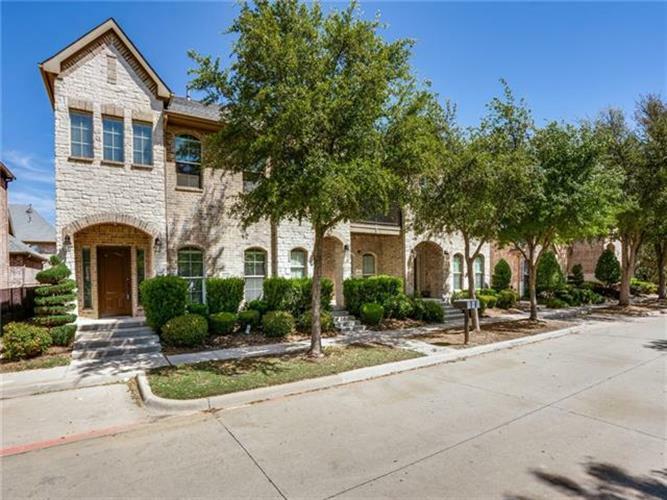 This unit has a prime location in front of community park, pool and workout center. Home feeds to much desired Frisco ISD, is just minutes from the Tollway, and has easy access to great shopping, dining, and entertainment.